In this tutorial, we see How to install Android Application Development kit with simple step by step installation guidelines. While going through this tutorial if you face any challenge, feel free to post your query in comment section bellow. We will try our best to resolve it as soon as possible. Before to start to install Android Application Development kit, be ready with following Android Application Development kit. In case if you don’t have these tools, you can download which is available free on the internet. We have shared the downloadable link in every step for appropriate Android Kit. Note: If you want to install Android Application Development kit Online, you need Internet Connection and online Application Development kit Installer. If Java is correctly installed, you should see information about your Java version install on your computer. If the command line returns the information that the program could not be found, you have to install Java. 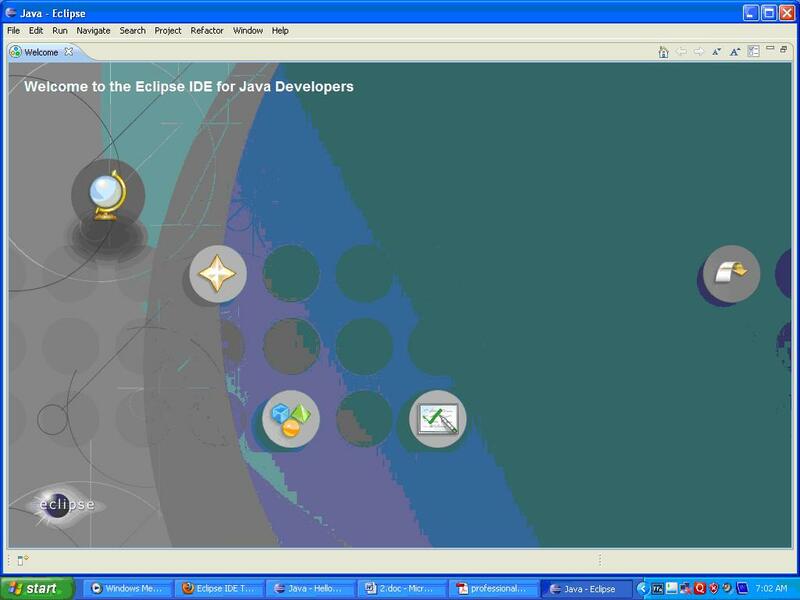 Eclipse IDE does not require any setup. It will require copying Eclipse IDE to any Drive on your computer. Then in that folder, find file “eclipse.exe”. Double click it. This will open Eclipse IDE as par the following screen. If this screen does not show on your computer then you might need to download Eclipse. You can download the executable installation file from Here. Launch the Android SDK Manager. -On Windows, double-click the SDK Manager.exe file at the root of the Android SDK directory. Expand the list of packages for the latest Android platform. Select and download Samples for SDK. When you open the Android SDK Manager, it automatically selects a set of recommended packages. Simply click Install to install the recommended packages. 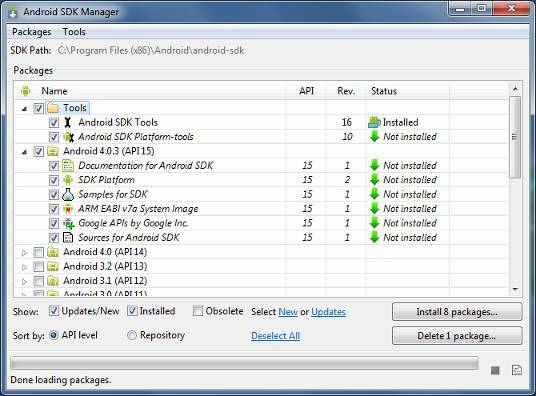 The Android SDK Manager installs the selected packages into your Android SDK environment. The following sections describe some of the available SDK packages and more about which ones we recommend you install. Help > Install New Software. (HTTPS is preferred for security reasons). If you get a security warning saying that the authenticity or validity of the software can’t be established, click OK.
3. Select Android from the left panel. You may see a dialog asking whether you want to send usage statistics to Google. If so, make your choice and click Proceed. For the SDK Location in the main panel, click Browse… and locate your downloaded Android SDK directory (such as android-sdk-windows). Step6. How to update ADT plug-in.? If there are updates available, select Android DDMS, Android Development Tools, and Android Hierarchy Viewer, then click Next. In the Update Details dialog, click Next. Read and accept the license agreement and then click Finish. This will download and install the latest version of Android DDMS and Android Development Tools. 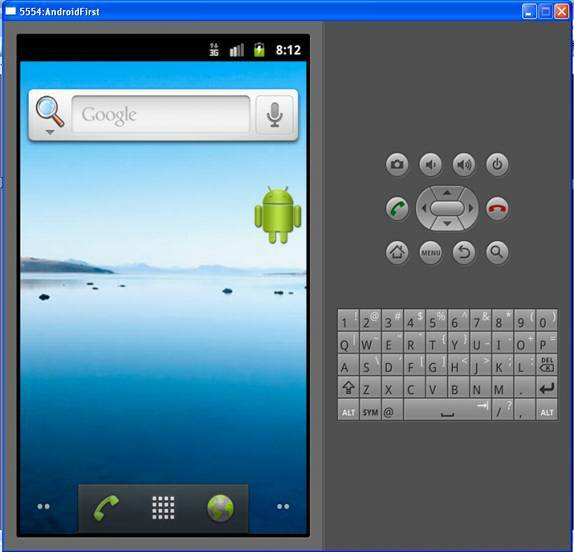 The Android Development Tools (ADT) include an emulator to run an Android system. The emulator behaves like a real Android device (in most cases) and allows you to test your application without having a real device. You can configure the version of the Android system you would like to run, the size of the SD card, the screen resolution, and other relevant settings. You can define several of them with different configurations. These devices are called Android Virtual Device. How to Create AVD for Android? 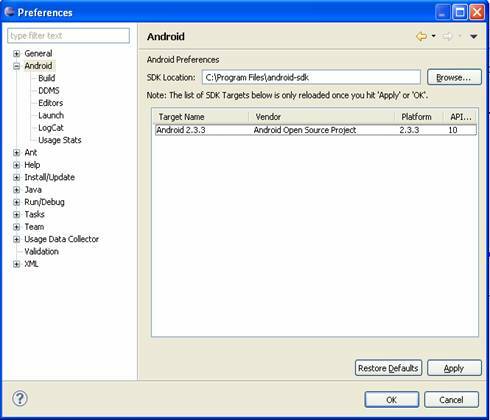 Open android SDK folder and find C:\Program Files\Android\android-sdk. You can also set the Enabled flag for Snapshots. This will save the state of the emulator and will let it start much faster now. The following shortcuts are useful for working with the emulator. Alt+Enter Maximizes the emulator. Nice for demos. Ctrl+F11 changes the orientation of the emulator. F8 Turns the network on / off. An impressive share, I simply given this onto a colleague who was doing a little analysis on this. And he in truth purchased me breakfast as a result of I found it for him.. smile. So let me reword that: Thnx for the deal with! But yeah Thnkx for spending the time to discuss this, I feel strongly about it and love studying extra on this topic. If attainable, as you grow to be expertise, would you mind updating your weblog with extra details? It’s extremely useful for me. Big thumb up for this weblog post! Yeah,I will try to muse on this subject more. You’re welcome ! You can now get our news letter for free. You can see email subscription text box in right side bar. Enter your email ID and stay tune on your subject and get updated. I will right away grasp your rss as I can’t to find your e-mail subscription hyperlink or newsletter service. Do you’ve any? Kindly let me know in order that I could subscribe. Thanks. Don’t be scared to give up the great to go for the fantastic. Thank yoou for any other magnificent article. Thanks for your marvelous Android Guide. I want to encourage one to continue your great work. Keep writing! This site really has all of the good information about Android Application development.